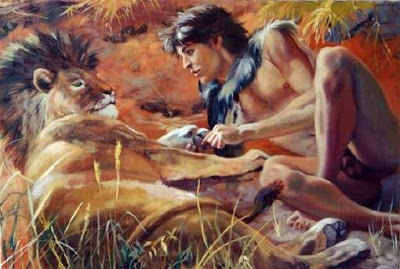 The picture's title is "Androcles and the Lion" but we all know that story. Looks like shifters to me. Tell us, 100-1000 words.